That was not a pretty hockey game. If this is how the Bruins are going to play be over in 4. Need some grit, game was way to soft for Boston, just look at JT standing in front of the net, like he was the center piece of the conversation, as the seas part for his easy exit. I know Cassidy said he wanted to dress for speed, but that isn’t what got you there. Boston really missing Miller, Kuraly and not so much Backes but he provide the element the Bruins didn’t play with. With every goal Mitch Marner scores his value just goes up, this kid is showing you he isn’t just a regular season performer, he has another notch for the playoffs. Last thought awhile back I said Toronto should dump the puck in Chara corner because of his lack of foot speed and got on him quickly, I thought the leaf did a good job of that last night. Chara to discourage this behavior must play with an edge an absolutely nail someone with a bone crunching hit, to cause a second thought before putting the puck in his corner. I expect a more entertaining game 2. I thought it was a very pretty game 1, different perspective from this side. Toronto was hitting and their speed was good, they needed a good start and got it. 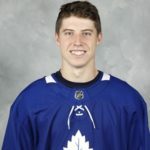 Marner is arguably the best player on this team, or has the potential to be at least. The key words there TB are “very pretty” yes that definitely plays in Toronto favorite. ah, just using your expression. I thought Toronto didn’t look intimidated and used their speed well and were firing on all lines, if they keep that up it’s hard to defend against a team that can roll 3 very skilled offensive lines, their offensive depth is their biggest strength. I’m sure this series will slow down and get more physical, but Toronto needed a good start instead of starting in a huge hole like they did last year. The past 2 times they’ve played Boston they’ve dug a hole and fought back to a 7th game so a good start hopefully is good for them, and there was a concern they would be intimidated by Boston which they didn’t seem to be last night. Toronto did take at elast 1 retalliation penalty though and they ened to watch taht as it’s always a concern when playing Boston. Interesting that Boston was the 2nd most penalized team this year, Toronto was the least penalized but when they play each other Toronto always takes more penalties, so they need to watch the retalliation stuff. promises to be a good series. Leafs played very fast and hard. The first period, the Leafs hit more than perhaps the entire season all-together. To me that and the hard back check were the two keys for the Leafs last night. I agree Caper, that Boston shouldn’t try to match up on the speed side. It will end badly for them if they do. Regarding Chara, I understand he needs to intimidate to be effective and he will get his opportunity to really hit someone at somepoint, I have no doubt of that – it could turn things around. Leafs are aware of what Chara brings and took advantage of his foot speed all night The other area that really surprised me as I don’t watch Boston alot was how slow Mcavoy was. Did he just have an off night or is he really that slow? Not sure who stayed up to watch the Flames/Avs game, but damn it was awesome. Lots of chippyness and hits and goals. And I’ve never seen mike smith play like that. He was unreal. Flames look good out west. I suspect Avs come out harder in game 2. But Calgary is showing a lot of depth. Especially on the blue line. It was a really good game. The Avs gave the Flames everything they could handle and if not for Smith that game could have easily go to overtime. The one take away I have about the game is the Flames top line were not dangerous at all. If the Flames want to move on Gaudreau, Monahan, and Lindholm need to get moving. They can’t rely on their depth every game. The Avs big three will find a way to score on Smith. Good win for the Buds but we all know the Bruins – Game 2 should be a beauty. Batten down the hatches. My prediction is Toronto will now win 15 in a row.